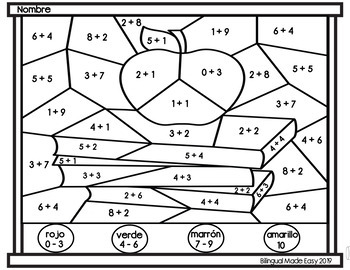 Looking for a way to reinforce Addition? 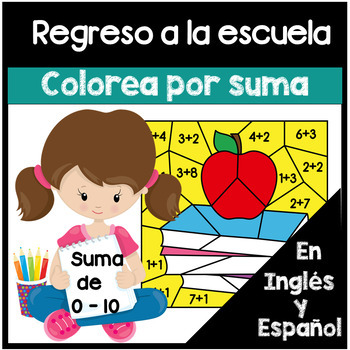 These back to school themed bilingual color by code worksheets will keep your English Language Learner students engaged while they are enjoying coloring. 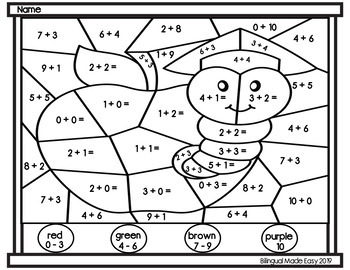 These worksheets focus on Addition from 0 - 10. They were created in English with a duplicate copy in Spanish for your non - English speakers. 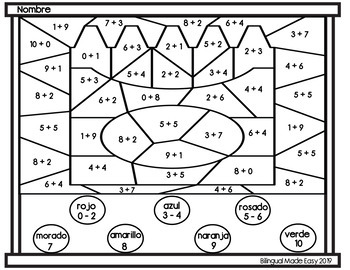 Perfect for a Bilingual, English as a Second Language or Dual Language classroom.